JCB 801 Excavator Undercarriage delivers outstanding performance in any excavator application. We al..
JCB 801.4 Excavator Undercarriage excels in all applications and all conditions: standard or heavy-d..
JCB 801.5 Excavator Undercarriage must be extremely durable and it is very important to keep the und..
JCB 801.6 Excavator Undercarriage delivers outstanding performance in any excavator application. We ..
JCB 8014 Excavator Undercarriage delivers outstanding performance in any excavator application. We a..
JCB 8015 Excavator Undercarriage excels in all applications and all conditions: standard or heavy-du..
JCB 8016 Excavator Undercarriage must be extremely durable and it is very important to keep the unde..
JCB 8017 Excavator Undercarriage delivers outstanding performance in any excavator application. We a..
JCB 8018 Excavator Undercarriage delivers outstanding performance in any excavator application. We a..
JCB 802 Excavator Undercarriage excels in all applications and all conditions: standard or heavy-dut..
JCB 802.4 Excavator Undercarriage must be extremely durable and it is very important to keep the und..
JCB 8025 ZTS Excavator Undercarriage delivers outstanding performance in any excavator application. 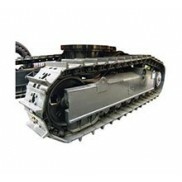 ..
JCB 8027 Z Excavator Undercarriage delivers outstanding performance in any excavator application. 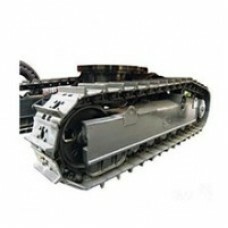 We..
JCB 8027 ZTS Excavator Undercarriage excels in all applications and all conditions: standard or heav..
JCB 803 Excavator Undercarriage must be extremely durable and it is very important to keep the under..